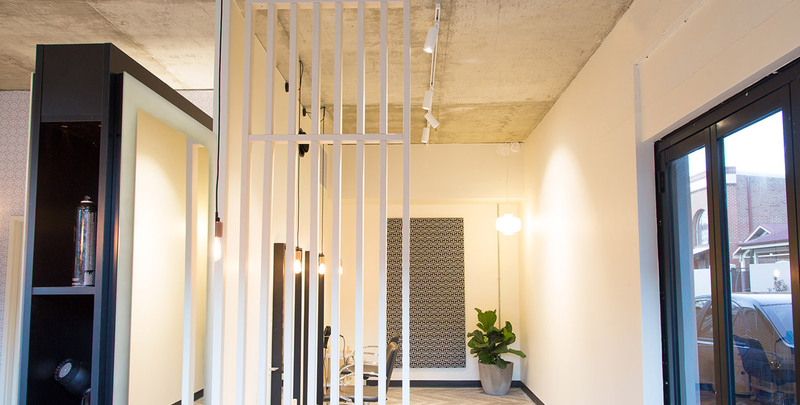 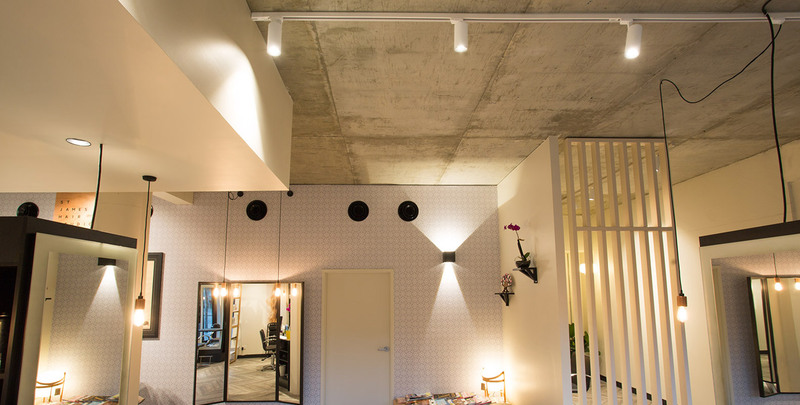 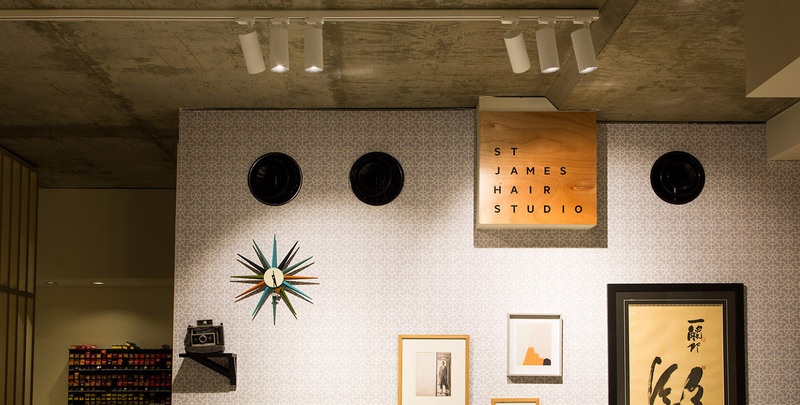 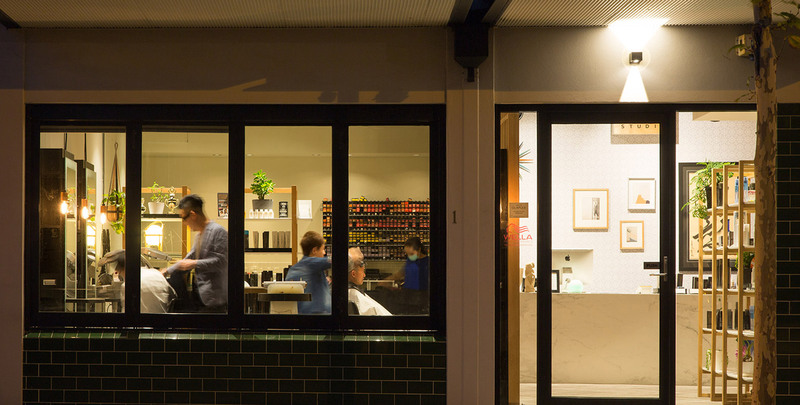 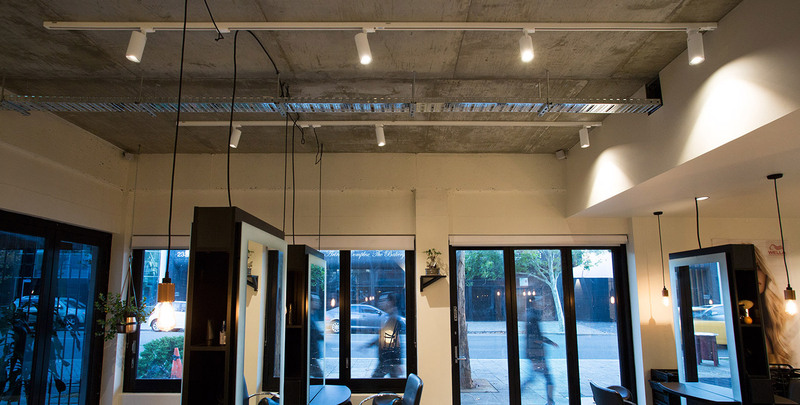 The recently completed St James Hair Studio showcases track lighting’s versatility with a range of Kobe Track Lights installed to illuminate individual sections, signage and as general downlighting. 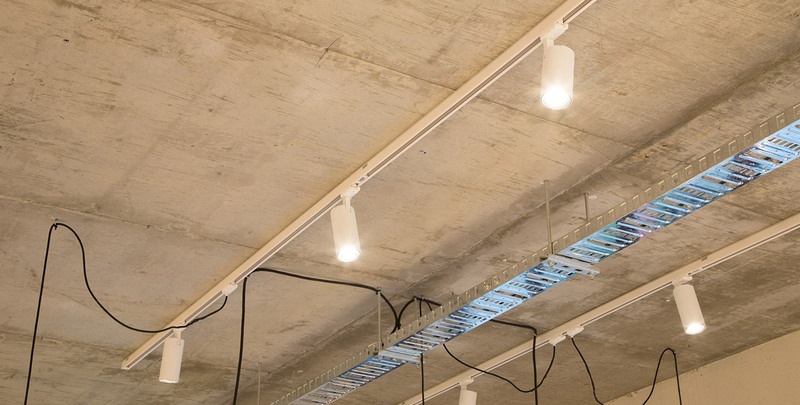 With a requirement to offer both practical lighting for tasks and a design proficiency, a range of striking and versatile architectural luminaires were specified. 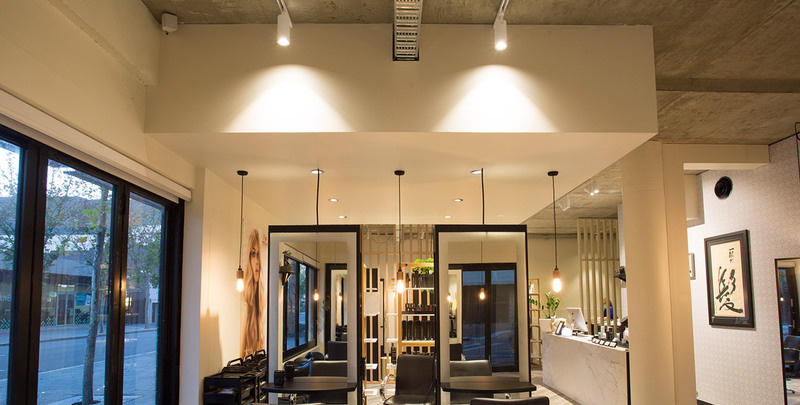 These included a selection of feature wall lights, track lights and surface mounted downlights.